Fur Coat and Stole are heirlooms from Grandma Tilly! 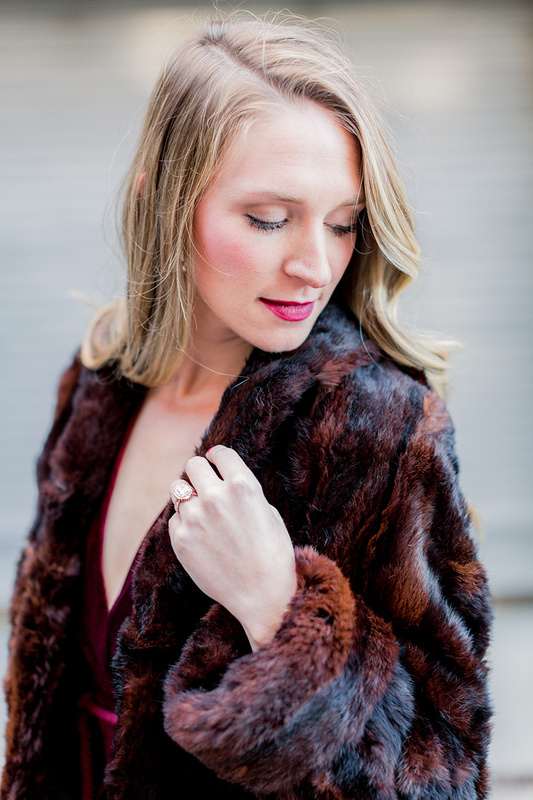 New Year's Eve is right around the corner, if you are last minute shopping may we suggest a velvet dress! We have the best memories of NYE, one in particular singing "Sweet Caroline" together karaoke style! These velvet dresses would be perfect for a cold night out. ASOS makes Jacki's burgundy dress, they have so many great velvet options right now at all different price points! Abby's evergreen dress is by Reformation (excellent black friday steal! ), an eco-conscious fashion brand. They have some great velvet pieces on sale right now! Wishing you a healthy, happy, and safe New Year! We can't wait to see what 2018 brings to Clocking Out Blog. Cheers!